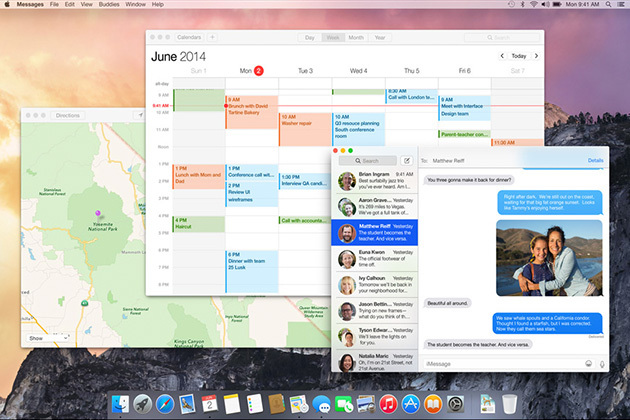 OS X Yosemite (Mac operating system currently in development by Apple) is coming with a redesigned interface, powerful built-in apps, and some amazing connections between your Mac and iOS devices. Actually is in beta version and free for download! First download Yosemite from OS X Beta Program. If you don’t have OS X Mavericks, you can download it free from the Mac App Store. For Yosemite direct link download, please leave a comment below. Is recommended to install OS X Yosemite Beta on a secondary Mac. And be sure to back up your Mac using Time Machine before you install this beta. 1. Open Disk Utility to format the USB/SD Card. Plug the drive (min 8GB) and select it, then from the tab menu, chose Erase. Make sure the filesystem is Mac OS Extended (Journaled) and click Erase. Enter the password to start the process. It may take a while. That’s all now you have a Yosemite Bootable Usb/SD Card. 3. Restart and hold Option from the keyboard to select the boot device.